The draconian new law forces Canadians to prove they weren’t drunk when they were driving – even if they were driving two hours ago, or have been falsely accused of driving, had only started drinking when they arrived at their destination, or any of an infinity of other scenarios. “Failure to provide a sample” – refusing the test – is a crime that comes with a one-year license suspension and a large fine, plus a criminal record. The changes to Section 253 of the Criminal Code were applied in December but went almost completely unnoticed in the shadow of another measure that allows police to demand a breath sample without even a “reasonable suspicion” that a driver is impaired. The Canadian Civil Liberties Association protested that the law would unfairly affect minorities, who already comprise a disproportionate number of traffic stops. While Justice Minister Jody Wilson-Raybould admits she has “every expectation” the law will be challenged in court, she claims its intent – to save lives – is an “incredibly justifiable purpose.” But challenging a law takes years, and meanwhile the law has the potential to victimize drivers who have committed no crime. As if the situation weren’t appalling enough, research has shown that many drivers legally classifiable as “drunk” are not detected using the breath-test technology, which frequently gives false readings. Presume this is a product of Justin Trudeau's ""Liberal" Government. I remember word getting out of the insane 'laws' being implemented in Russia when I was a kid, they were incredibly absurd, and now it's happening in Canada (and here). Seems Hitler enacted many draconian laws that were cast aside by the public because they weren't used...until they were. Like WA state's gun laws that law enforcement is saying they wont enforce, they are still on the books and can be rolled out at any time to go after whomever they choose at the designated time. I hope Canadians find a way to be rid of Turdroll the muzzie puppet soon. Looking back, the lion was a bad idea. That's why Dr. Shockla is gonna hook us up with a monkey. I'm gonna teach it taekwondo. Yeah, karate monkey, yeah, that's probably safer. "What's absurd? I'll tell you what's absurd. We don't have enough beer!" "Heh. My brother's only joking. We're stocked like Fort Molson. *snort*"
"Sorry, we're out of breath samples. We used those for party balloons." "And we're not holding our breath. We're too busy holding our beers!" "Say, did you check the storeroom to see if we need more back bacon?" "Good idea. 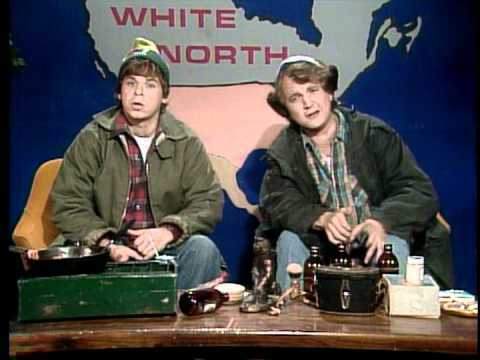 Remember, only you can prevent hosers from hosing you!" Did you really think we want those laws observed? said Dr. Ferris. We want them to be broken. You'd better get it straight that it's not a bunch of boy scouts you're up against... We're after power and we mean it... There's no way to rule innocent men. The only power any government has is the power to crack down on criminals. Well, when there aren't enough criminals one makes them. One declares so many things to be a crime that it becomes impossible for men to live without breaking laws. Who wants a nation of law-abiding citizens? What's there in that for anyone? But just pass the kind of laws that can neither be observed nor enforced or objectively interpreted – and you create a nation of law-breakers – and then you cash in on guilt. Now that's the system, Mr. Reardon, that's the game, and once you understand it, you'll be much easier to deal with.